I was poring over my site analytics yesterday and found I’m receiving reasonable levels of traffic for ‘FMCG Digital Marketing’ related searches. As I’m not really optimising my site for search rankings/ volume (I blog because I like to teach mtself and educate others) I’m surmising that there is not much decent content in this arena. As a result I thought I’d spend an hour or three writing a piece on Opportunities for FMCG Digital Marketers. But before you do anything you need to SOSTAC! Yes it’s a boring planning framework but you need to ascertain if you should bother with Digital at all. Key for FMCG’s is the first ‘S’. 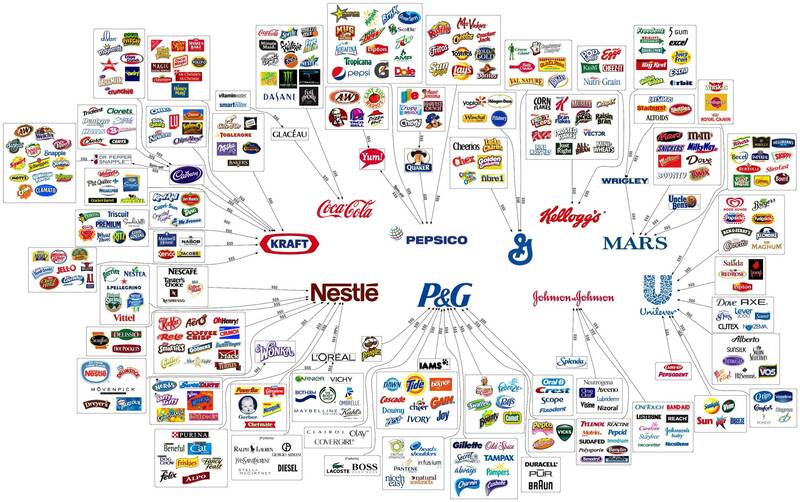 FMCG’s are amongst the best, overall, at marketing as they have been doing it for yeeeeaaaaaars! They do not lag behind the digital curve because they are thick, rather it can be difficult to engage consumers, and ascertain value, with many FMCG’s products. It’s your job to find out how! 4/ Proven to build brands (e.g. Nike+) and help sell stuff! Broadly I would not bother. FMCG SEM (Search Engine Marketing) is not as important as in other sectors however it’s still key to optimise for brand, product name, product category, [your product] review, straplines, etc. Ensure you optimise for universal search (website, video, images, maps, product feeds, etc) and SEM often proves useful for combating negative SERP impact via Social Search initiatives. Nike+ is a great way of building a platform around your target audience and engaging with them. Whilst it’s difficult to achieve the level of Nike+ you can still create engaging platforms e.g. healthy recipes around your products, a community around your stance to Fair-trade, etc. Then if we take a more lateral definition of platform to mean the thing you are using to access digital; mobile is key. As an example Johnson’s successfully use Babycentre as an app to engage mums and to keep them front of mind. Weetabix launched their WeetaKid app to engage their young target audience at the breakfast table (and if you’re a parent anything that makes breakfast easier is a great thing thus you’re driving engagement with the child and eternal gratitude from the parent!). Outreach, where appropriate, and engagement is a key Digital Marketing tactic for many FMCG’s. There are many FMCG success stories in social media including Pringles and the Cadbury Gorilla but also several still managing to mess things up e.g. Nestle with orang-utans. One that I particularly like is Innocent who truly listens to and engages with fans/ consumers. What’s good is that their listen and engage philosophy does not stop at Facebook and Twitter; rather extending out to iphone games, decent email marketing, partnerships e.g. Disney ‘Club Penguin’, marketing campaigns e.g. the Big Knit that are integrated with the overall marcomms strategy, etc. Use digital as a feedback loop to obtain direct responses from consumers. This can be done via listening to what your consumers are saying on social media channels, surveys (email, on site, etc), crowdsourcing (e.g. Unilever with mum engagement on new products and its Peperami advertising ideas generator) and even looking at Über new ways of market research such as via Google consumer surveys that I only found out about today. After the above listening and engagement the next obvious social extension is social media advertising. I would go with the two biggies; Facebook and Twitter (I posted about the Facebook algorithm and the Twitter algorithm recently). There are plenty of case studies out there and the best I found for Facebook was on Social Fresh and for Twitter on Twitter itself. It’s also worthwhile outreaching and acquiring data to email. Whilst purchased/ renting lists rarely works for FMCG’s, if you engage with sites such as Hotukdeals.com, grabitnow.com, etc and offer competitions or free samples in return for the customers email address you do stimulate brand recall, product trials and thereafter have their information for ECRM campaigns. Do what P&G did by putting ‘where to buy’ links on its European websites to direct consumers to its own sites and to other partner sites including Amazon, Tesco and Boots. Sounds simple but it worked by driving sales and footfall to those establishments. Or as eluded to above, Innocent did a great job of partnering with Disney, via Club Penguin, to talk to kids about fruit both on and offline – “The fruit, the whole fruit and nothing but the fruit”. Or even do the blatantly obvious by making sure you engage with/ on influential customer portals. E.g. Mums on MumsNet.Com. Engage with the right audiences and optimise for your desired outcomes e.g. sales, sign ups, engagement, brochure requests, video views, etc. View my DSP article for more detailed info. Obvious advice is mentioning your url, facebook or twitter on packaging/ in adverts. Perhaps even using augmented reality (and I document several FMCG examples in my Blippar post) and QR codes. You should also be optimising for dual screening on laptops, tablets and mobiles so when people have been hit by your brand messages offline it is easy to find your brand online and make sure online ‘develops the story’ with more detailed information, videos, games, brochure downloads, etc. I have put quite a comprehensive post together on Dual Screening hence go there for more info.